The next message from Trevor came two weeks ago, to tell me of making a dramatic leap forward in triathlon swim performance, after applying what he’d learned. I asked him to write an account to share with all of you. It turned out to be a drawn-from-life example of the efficacy of doing drills with the right understanding—the topic of most of my posts since mid-May. Trevor’s analysis of how he changed his process should be valuable for any improvement-minded swimmer. 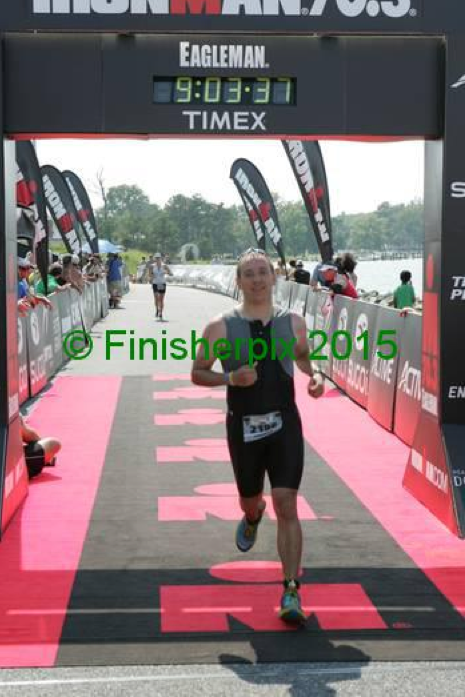 In December of 2013 I signed up for three sprint triathlons the following summer. Why? To force myself to confront a lifetime of ‘swimming insecurity.’ As do many people, I searched the internet for guidance on technique, coaching, etc. but felt confused and a bit overwhelmed by what I found there. So I took a lesson with a local coach—which only deepened my insecurity. I spent most of an hour on a kickboard, which did nothing for my swimming, but left me exhausted and discouraged. 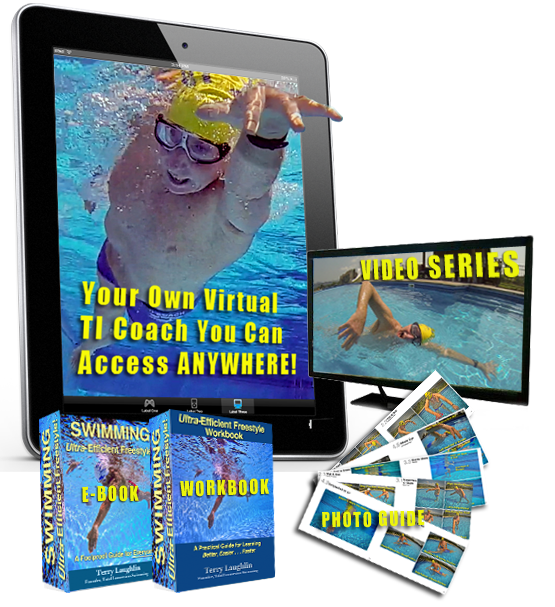 Using TI self-coaching tools I began to teach myself to swim. Initially, my learning curve and process were slow and, at times, frustrating—despite making tremendous progress from where I started. Watching the videos, I knew I was still a TI novice. I completed the three triathlons, but was still dissatisfied with my swimming, so I felt I hadn’t yet met my goal. In open water, I felt high anxiety, my heart was racing, and I couldn’t breathe. I got through them by swimming as far as I could, then rolling onto my back to slow my heart and breathing. Following the triathlons, I scaled back my training. I’d put in so much work and wanted to relax. Early this year, I decided to refocus on improving my swimming, signing up for another triathlon to provide incentive. A natural progression would have been to tackle an Olympic distance race; but instead I signed up for the 70.3 Eagleman in Cambridge, MD–known for its challenging 1.2-mile swim in the currents and chop of the Choptank River. This would prod me to improve my approach to learning TI. In February, I took a 1-day Effortless Endurance workshop, led by Terry, in Newtown Square, PA. It was a highly concentrated eight hours which began with video shot from several angles. Then a brisk series of demonstrations, “rehearsals,” drills, and short whole stroke repeats, with constant feedback. During lunch, we reviewed the videos. Comparison with other swimmers helped me recognize my strong and weak points. Each of us had already corrected one or more errors shown on the initial video. Following lunch, we focused on strengthening our individual weak points identified on video and how to breathe more comfortably. We finished by shooting another video which showed high points for all. Post-workshop Terry emailed a summary of key focal points, and guidance on how to achieve our best personal SPL (strokes per length) and tempo. Following the workshop, I overhauled of my self-coaching process from bottom to top. I did too many different drills, haphazardly, and non-sequentially. I did drills without understanding the sensations I should feel. I also pushed ahead to later steps without achieving a strong foundation of comfort and consistency at earlier steps. I focused on increasing distance, without establishing ease and form at shorter distances. Consequently I never achieved basic comfort and relaxation in the water. This caused me to often feel breathless. Because I lacked consistency in technique or feel, I showed up at the pool each time feeling anxious about which “me” would show up that day. I had occasional glimpses of how swimming should feel but couldn’t replicate those consistently. I began each practice with a ‘Tuneup,’ the value of which Terry had emphasized–a combination of taking inventory and choosing a primary focus for that day’s practice. I would start with a series of short (6 yards) drill repeats, and drill+swim repeats (12-25 yards) to heighten awareness of the mini-skills I’d spend the rest of practice focused on—e.g. a weightless and aligned head, a Mail Slot entry, having legs draft behind upper body, etc. I understood the relationship of the TI foundation skills of Balance, Core Stability, and Streamlining and became more disciplined about strengthening each. I eliminated the mindset that if I didn’t swim farther than last time, I wasn’t making progress. I focused on consciously exhaling in each breath. This was the single biggest factor in becoming more relaxed—which allowed me to swim greater distances as a matter of course. My biggest breakthrough came from finishing each session with 200 yards of ‘perfect’ swimming. Previously my form had fallen apart at the end of sessions. Now I finished with 200 yards, aiming for maximum grace, and a minimum of noise or bubbles. This dramatically increased my relaxation and comfort, and left a highly positive impression to dwell on until my next practice. 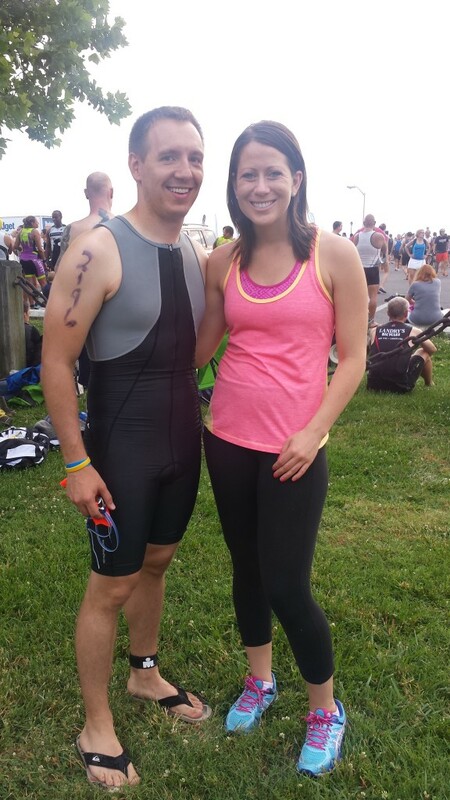 On June 14th, I took to the Choptank River for the 1.2-mile swim. By the time my wave started, the pros were already exiting the water. Their slow times revealed how challenging the swim would be that day. Nevertheless, I felt profound confidence and relaxation as we started—and maintained this throughout the swim. I focused on a relaxed ‘Rag Doll’ recovery arm, to soften the impact of the chop, and on entering through the Mail Slot to ‘pierce’ the waves. These focal points, combined with overall relaxation and confidence, made swimming the most enjoyable part of the whole race. My swim ranked in the top third of the entire field, which I find amazing, considering how little effort I expended. I was thrilled at how far I’d come in so little time. 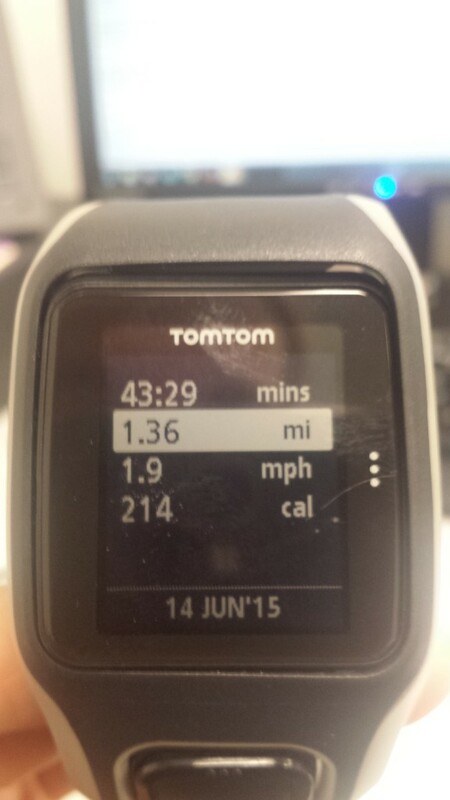 Trevor’s 1.2 mile swim was actually 1.36 miles. While it took time to find the right path in my journey it has transformed swimming from one of my biggest sources of anxiety to a zen-like activity I will do for pure pleasure for the rest of my life. Performing well in a triathlon or open water event is a good measure of progress, but has become icing on the cake. Follow the improvement process Trevor learned (for 80 percent less than the tuition of the 8-hour workshop he attended) with our downloadable Ultra-Efficient Freestyle Self-Coaching Toolkit. The drills and skills he learned—plus others—are illustrated in 15 short videos. The guidance he followed on how to learn and practice effectively is contained in the companion Workbook. Have you a french version of your video? I would like a contact in France for learning your method. I try to change my swim myself but any teacher say how to teach? I took the same 1-day workshop and it’s great to read about your success putting TI lessons into practice. Would you say a little more about the focus on “conscious exhaling”? I’m struggling getting into the zone of easy / conversational swimming and I think it’s my breathing that’s the issue.